This lovely lightweight top is perfect for spring. Long sleeve grey and white striped Hollister top size M but more like a small. Used but in good condition. Any questions please don’t hesitate to ask. 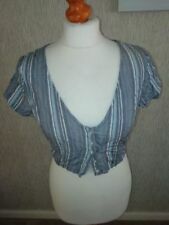 Hollister Cropped Striped Grey and White Long Sleeved Top Size Small Condition is Used. Dispatched with Royal Mail 2nd Class. 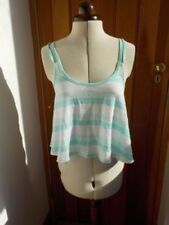 Hollister Striped Top s . Condition is Used. Dispatched with Royal Mail 1st Class. Hollister ladies top size Large blue / white stripes. Condition is Used. Dispatched with Royal Mail 1st Class. Hollister Striped Tie Up Crop Top Size S Condition is Used. Dispatched with Royal Mail 2nd Class. Can’t post till 20th of Jan so don’t buy unless this is ok!!! Hollister red and white 3/4 length sleeve Striped Top Size Small. Condition is Used. Dispatched with Royal Mail 2nd Class. Hollister Ladies XS Blue And White Striped Shirt Good Condition. Condition is Used. Dispatched with Royal Mail 2nd Class. Hollister Striped Top, Size XS, Excellent Condition. Condition is Used. Dispatched with Royal Mail 2nd Class. Genuine lovely ladies hollister medium Light Weight Jumper. Loose casual fit. Condition is Used but like new condition. Nice in the winter with body warmer or even in the summer with white jeans. Sent with Royal Mail 1st Class. size Medium. See other Hollister items for sale. 100 % Genuine Hollister. White Stripe. Hollister Black And White Stripped Jumper Size M Will Fit 8-10. Condition is Used. Dispatched with Royal Mail 1st Class. Hollister Women's Navy Long Sleeved T Shirt Size Medium. Condition is Used. Dispatched with Royal Mail 2 nd Class. Gorgeous on. Such a flattering fit. Size XS. 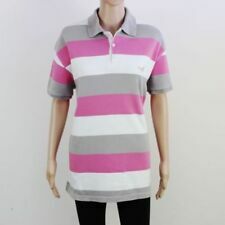 This is a lovely striped Hollister t shirt in White/Pink/Blue, size S. This has only been worn once so is in excellent condition. Super cute ladies tshirt from lifestyle brand hollister. Blue and white stripes with blue hollister logo and floral motif. Cotton mix. Size L. Measurements laid flat approx Chest 17" Length 26" Please check out my other items and happy bidding! New listingHollister Brand Cropped Summer Top | Blue and White Stripe | Size XS | COMFY! Worn about 3 times, in great condition Size small, I’m normally an XS and this is fine on me. The front inner panel is lined and there is a tie on the chest and is fairly low cut but not too revealing! RRP £16.50 so grab yourself a bargain, no flaws just an unwanted present. Ladies Hollister top, navy blue and white stripe size XS. In good condition.